The aldermen of Evanston, Illinois unanimously adopted a policy which will ban local police from being able to share information with federal immigration officials from the Immigration and Customs Enforcement (ICE) agency, according to Evanston Now. Supporters of the sanctuary city policy like Michelle Vazquez from Evanston Township High School said the public schools and universities in the area support illegal immigrants, therefore Evanston should do the same. The sanctuary city policy adopted is similar to others that have been adopted in cities like Philadelphia, Chicago and San Francisco. Under the ordinance, local police are not allowed to hold an illegal alien solely on immigration status. Likewise, when ICE asks police to hold an individual for their illegal immigration status, police are expected not to cooperate. Local police will also be banned from giving federal immigration officials access to anyone in police custody and they cannot allow ICE officials into their police headquarters. 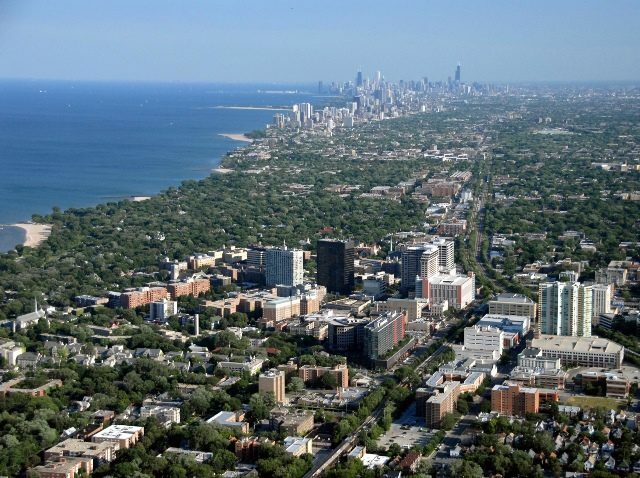 Evanston made exemptions to all of these rules when an individual in police custody is a felon, has an existing criminal background or is a gang member. The Evanston sanctuary city ordinance is even more restrictive than Chicago’s, Evanston Now notes, citing that under this ordinance, no city official will be allowed to obtain access to an individual’s immigration status unless mandated by a federal court. Sanctuary city policies like these have been reaffirmed or adopted in another 40 American municipalities since President-Elect Donald Trump’s election, risking the loss of billions in federal funding, as Breitbart Texas reported.